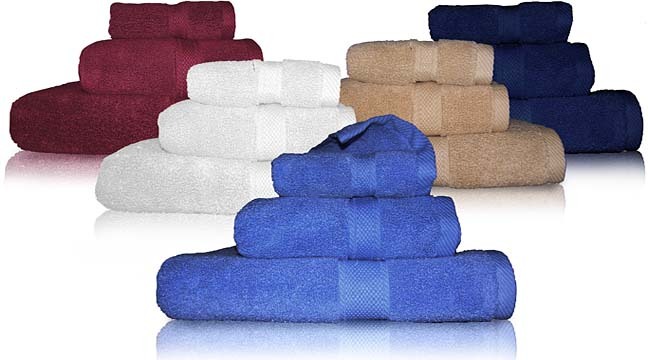 TowelsOutlet.com - Oval Office Collection bath towel set. 72 pcs per box. Zero twist 100 % cotton. Luxurious towel. Available only in White. Available in Half a case. Oval Office Collection bath towel set. 72 pcs per box. Zero twist 100 % cotton. Luxurious towel. Available only in White. Available in Half a case. 1 case ( 72 pcs) of Oval Office Collection Bath Set. 24 30x56 heavy weight bath towels at 17.5 lbs per/dz.24 Hand Towels at 4.5 lbs per dz, and 24 13x13 washcloths at 1.8 lbs per dz. Available only in White.